Venture capital used to be a cottage industry, with very few investing in tomorrow's products and services. Oh, how times have changed. While there are more startups than ever, there's also more money chasing them. In this series, we look at the new (or relatively new) VCs in the early stages: seed and Series A.
Casey Berman is a General Partner at Camber Creek. Prior to Camber Creek, Casey was President of Operations for one of the Washington DC area’s largest privately held real estate development and management companies. He founded Camber Creek 8 years ago and oversees all aspects of the organization. Casey leads the due diligence process for potential investments, makes investment decisions and participates in the management of portfolio companies. 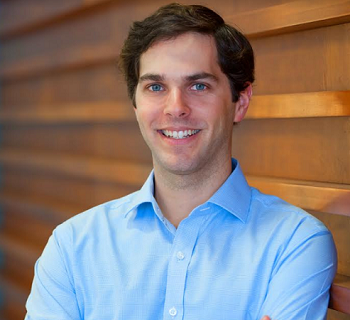 Casey currently serves on the boards of a number of Camber Creek portfolio companies. Casey Berman: The most important part, the most important piece for us, is the decision-making process and really every part of Camber Creek is, how do we add value? How are we strategic? So, we ask that question constantly and we test that question repetitively through the diligence process and then, during the due diligence process, we really define how we’re going to add value and how we’re going to be strategic over the long-term. And then, based on the ability to really add a lot of value, based on what we put down, we then decide to make an investment. I’ll give you an example. We invested in a company called Bowery Valuation, and Bowery is changing the way appraisals are done. Appraisals are traditionally an older business with very little technology, and we were approached by the team at Bowery about what they were building and the first thing we always look to do is try it. What I mean by try it is, so Camber Creek, all of our LPs are owners and operators of real estate and we have this large network of interested individuals across all different real estate asset classes, offices, retail, apartments, hotels, parking, senior living, really a wide variety of real estate, we can try things. So, with the appraisal company, we had them run an appraisal for an asset that had already been appraised a week prior, and what we found was not only was Bowery’s appraisal better, more objective, more detailed, but the appraisal was a better appraisal in terms of the price and then, on top of that, it was faster. The amount of time it took Bowery to do it was about a third of the time. So, Bowery could provide an appraisal with a more thorough report, a better product, and less time and it would cost them less money. And we could determine that, not by looking at their assumptions and looking at their pro formas and reviewing the materials they provided, but actually trying it. And that’s really our model. During our due diligence we add value to our portfolio companies by giving them potential customers. 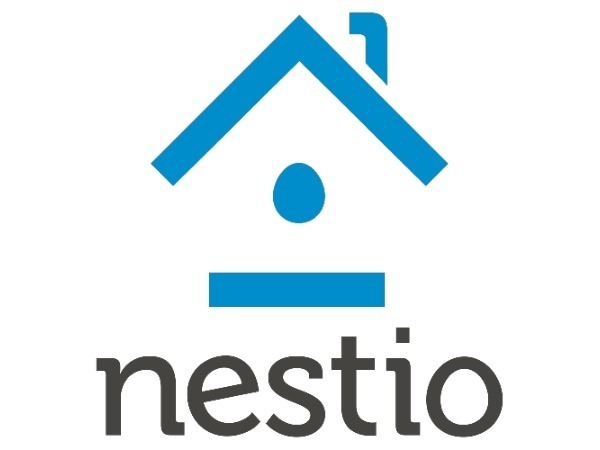 Another company we recently invested in this past year was Nestio, and during our due diligence process we actually introduced them to three potential customers and went through the process with them to how well they could close. By going through that process, saying first, ‘How are we strategically valuable?’ and I would say in the case of Nestio a lot of our LPs are potential customers, we beta tested those customer during our due diligence, and what we found was we really believed in the product based on how fast we felt like they could close and how much better the product was than the existing solutions on the market. Then we invest, and then what we really can do after we invest is introduce them to a huge group of our investors who are potential customers, over 150,000 potential apartments with that specific company, and then our greater network of apartment owner and operators. How do we make our decision? How do we do business? The key for us is always trying things. We add value to companies during our due diligence process, and if the team diligence checks out, if the product diligence checks out and, most importantly, if the amount of value we can bring to a company is enough, then we’ll invest. CB: Everything has to relate to real estate and, again, we ask the question, ‘How are we strategically valuable?’ We define real estate rather broadly and that’s because we can add value to a broad swath of the real estate market. So, an example of that is anything from construction, we have general contractors in our LP network, to brokerage. We have brokerage in the multi-family space, we have brokerage in the office and retail space, in the residential single-family home mortgage space, general mortgage, commercial mortgage, so we have really across the board of real estate a large network of investors, which allows us to define it really broadly. The easiest way to summarize it, though, is real estate tech. VN: What is the opportunity you see in real estate tech? CB: My background is in real estate; I was a president of a real firm that owned, operated and managed commercial assets. Everything was old-fashioned, the entire industry was old fashioned, so Excel spreadsheets really ruled the day and cellphones, not smartphones but old fashioned cellphones. And what we found was there just weren’t many software solutions out there. To add some more tangible numbers, in 2011 there was less than $60 million invested in real estate tech. In 2017 there was over $12 billion invested in real estate tech. And taking it a step further, the last deal we were part of that, that we led the series seed round in Latch, they recently raised their Series B, it was a $70 million Series B led by Brookfield and that one round, that one investment, was bigger than all real estate tech in 2011. An example of that is WhyHotel, started by Jason Fudin, and he asked the question, ‘Why does a multi-family apartment have a year to two years worth of vacant apartment units? Why not monetize those apartments?’ What was born was the concept of WhyHotel. Jason and I spun WhyHotel out of the publicly traded company Vornado, which is now JBTS, and they provide pop-up hotels for brand new apartment buildings. And what they’ve done is they’ve monetized an asset that, historically, had zero value. So they found money, and it’s a meaningful amount of money, seven figures or more, and it’s really out of this concept, this change of culture in the real estate space, that companies are looking to be more efficient, to better utilize assets and to us technology to make real estate better. CB: One of the other companies that has a wide value proposition is a company called Measurabl. What they do is provide ESG data and sustainability data, across an entire company. It is the most applicable towards the real estate industry. So, for instance, if you are a publicly traded real estate company, or a company that has an endowment or public pension money, you’re required to report on your sustainability. And, more and more, the sustainability rating of companies is actually being factored into the fair market value of a publicly traded company. What Measurabl does is automate the major portion of collecting all that data and benchmarking the data, and then actually tying it directly in with the rating agencies to set the standard. Measurabl is the largest repository of ESG data, they have over six billion square feet in their software, and what we saw in them was a company that was growing faster than we had ever seen in that sustainability and energy management space. Again, going back to how we do business, we tried it. We worked with our LPs to try out the software and see how it was different than a lot of the other companies that we had seen in the space. And they had a remarkably faster sales process, onboarding process and, ultimately, they close a lot more deals a lot faster. It was very clear that was how they had grown to have such a large market share. CB: We want to see how the team has a competitive advantage, why is it going to be unfair for them take over their space? What is it in their experience, what is it in their network, what is it about the team that we are looking at or we’re talking to that really differentiates them? Specifically, the founders of WhyHotel were from the development world; they both had very high-level positions in very large development companies. So when they speak to their customers, or the developers, they speak the same language, they get it. That’s a huge differentiator; when we were doing diligence on their competition, none of the competitors had that. The other major one is industry experience. So, with the Bowery team, they were all in an appraisal company prior to forming their new appraisal company. They said, ‘We work at an old fashioned appraisal company, why don’t we do it more efficiently? Why don’t we use technology?’ And instead of trying to convert the existing company they started their own. So with a team we really want to see how they have a competitive advantage. Then, number two is execution and this goes from the team onto other parts of the company. We always look for how a team and the company at large is executing. The way we measure that is both subjectively, with how fast things seem to be happening, and then objectively, with how fast the team’s traction is growing relative to plans. So the next step of that is traction; we really want to see where a company is at, and in a preliminary meeting we get a sense of where a company is at. And then with the venture backable companies, the key is how fast it’s growing. So with the traction it’s good to have a sense of where they are and how fast they’re growing from there. CB: The most important thing for us is that our strategic value can be leveraged. We need a company to be mature enough that they can take the network we bring, they can take the potential customers we bring, and the feedback that we have, and actually execute upon it. In terms of how early we can invest, we’ll invest in a seed round, we’ll invest in an A round, we’ll do B, we’ll do a growth round. The earliest we will do really depends on how mature a company is and how well they can execute on leveraging our network. And then, in terms of the later stage, again, we need to make sure that we can still add value. If a company is so mature that the network we bring, the understanding of the market we bring, doesn’t help, then it’s going to be too late. What we have found is a company has to be very mature to really grow out of that. To put it in perspective, we’ve been part of a number of growth rounds that we have found we can drive a huge customer base to their existing network, or their existing revenue line. VN: As early stage rounds get larger, now has that changed where a company need to be to in order get their Series A round? CB: What we’ve seen is that the angel and friends and family rounds have gotten bigger to the degree that the seed round is more of an institutional round. What that means is a seed round seven years ago might have been $1 million to $3 million and it had a lot of friends and family, had a lot of angel investors. That round is really an angel round now; the seed round is a company that has customers, they have a product, and they’re ready to scale their customer list. So, we’re seeing seed rounds of anywhere from $3 to $7 million, and following that up with a Series A could be anywhere from $4 to $12 million, and then, in some cases, even larger than a $15 million Series A. And what we’ve seen is that, because companies are more mature when they’re raising their seed or A round, it allows the institutional investors to deploy more money and scale the company, because they are more mature. So it’s not just the market is shifting to doing larger rounds, there is a real demand to have a higher level of maturity in the company prior to doing the round. To add more metrics, we see a pretty middle of the road Series A company having around $100 million in monthly revenue. That is really over-generalization, depending on the market, depending on what type of company, SaaS versus a tech enabled service. It really changes, but that’s a pretty middle of the road estimate. It could have been anywhere between $50 and $100 million 10 years ago, but, again, it’s a deal by deal thing. CB: I went to school at the University of Michigan and studied economics. I really enjoyed the variety and applicability of economics. After school I immediately started working in real estate, in operations property management. I eventually led the entire operations property management, leasing and HR of a real estate company. I was the president of a real estate company, and through that process, through that experience, I saw a major gap in technology. It became clear when, this is coming out of the recession in 2008, 2009, 2010, that a lot of other businesses had adopted technology in order to make their businesses more efficient, reduce costs and grow. When we looked at doing the same in our real estate company, there just weren’t many options. So, the first step was, ‘Let’s try to find technology for our real estate business,’ and there wasn’t much out there, and then we took it one step further and said, ‘There isn’t much out there, instead of trying to help our core real estate business, there’s a huge opportunity for this to be a business in and of itself.’ The first step was creating that thesis of adding value. Within the real estate company I ran, the key was, at every part of the project, the firm added value. So, within the leasing, we had our own leasing teams. Within the construction, we did our own general contracting. We applied that style of being incredibly hands on to venture capital. So, what really drew me into venture capital, why I am where I am today, why Camber Creek is where it is today, was we saw an opportunity because there was a gap in the market, and very early on we had validation. We started investing in 2011 and very quickly we started to see the amount of value we could unlock for young startups, and we started realizing exits. CB: The number one thing for me is working with the founders. The amount of passion and excitement and drive of the individuals that we invest with, that we partner with, is just the most energizing experience. To share an anecdote, one of our founders said they’ve never been more busy, running around the entire country closing deals, and have never been having more fun in their entire career. In the U.S. everyone says they’re busy. ‘How are you doing?’ ‘We’re busy.’ ‘Oh, that’s good.’ But it's taking it to the next level and loving and being passionate about what you’re busy with. What we have found is working with the founders is incredibly rewarding, especially with our model where we’re adding value. What we do is we partner with the companies and we can see how passionate and how driven they are and then they see how hard we’re going to work to make them succeed, to help them succeed. We build upon each other, so we help them and they help us, and it’s quite a unique partnership that we create with each one of our founders. CB: We closed over $30 million. CB: It really varies. The first check is anywhere from $750,000 to $3 million, and then we reserve a large portion of our fund for follow on, and it varies by company. CB: The fund was closed in 2017. We opened and closed it in 2017, and we’re deploying from that fund now. CB: It really depends on the company. So for some we might not reserve anything, for others we might reserve three times. On average you can say we reserve about double. So if we invest $3 million we might reserve another $3 million for follow on. But, again, it is not a hard set rule; for each company we create a plan with what our reserve is going to be. CB: What we have found is we unlock the most value around the Series A, so we have the highest concentration around the Series A, but we have made seed investments, we have made B investments. In real estate tech, the biggest inflection point, and where we can unlock most value for our investors, is the Series A.
CB: It really varies, and the way we approach it is we only want to invest in the best companies, the best deals, the best opportunities, so we don’t actually set a number of deals that we want to do. You can work backwards: our fund is two years old and we’ve done about nine investments, so anywhere between four and six deals is a comfortable estimate working backwards.